Throughout the last couple of months, I've being consciously working out harder than ever before and am making a real effort to stay on track with my eating. I often find that I don't like a lot of healthy breakfast options and so tend to reach for a smoothie packed full of yummy fruit and goodness. 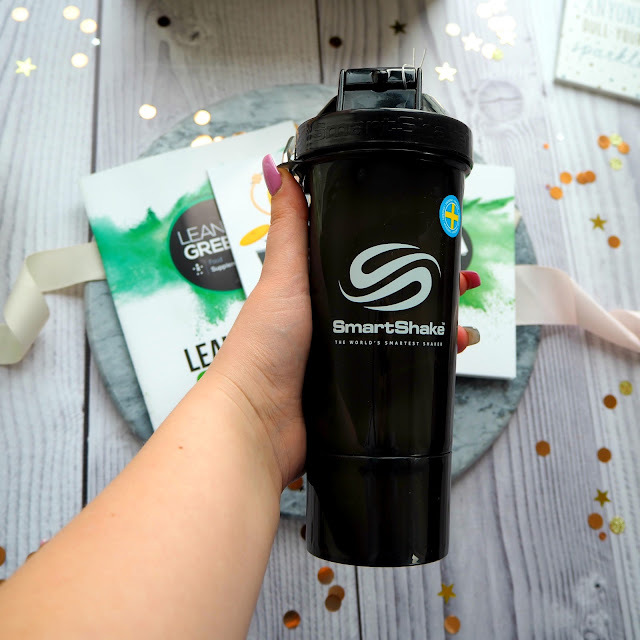 My all time favourite smoothies to make are berry based smoothies, but I think it's important to get your greens in too so I've been adding my lean greens supplement into my smoothies and let me tell you, they taste so good!! I have never used supplement powders before and I will honestly say I was very sceptical at first. The super greens supplement claims to help you banish your bloating, crush crippling cravings, optimise digestive healthy and give a natural energy boost and I thought it'd be just another gimmick, but I was pleasantly surprised. SO WHAT IS LEAN GREENS? 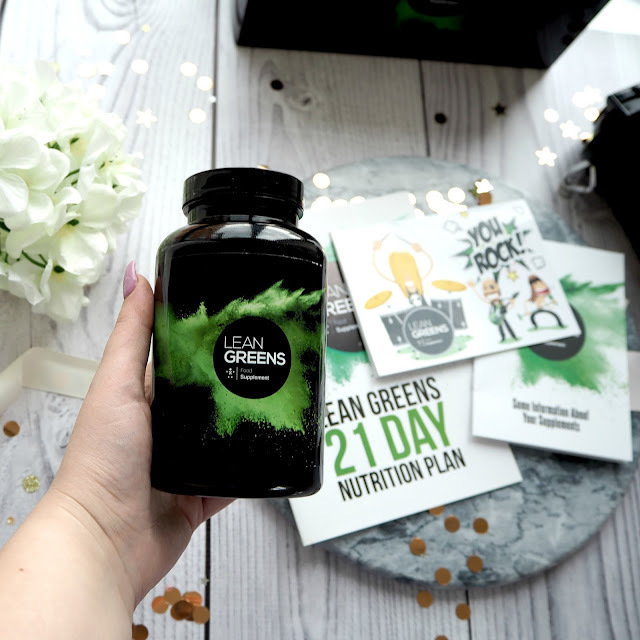 Lean Greens is a food supplement company whose produce a range of powders to help with weightloss and bloating. Their products are designed to taste good on their own and are packed with lots of nutrients. The super greens powder is packed full of spinach, broccoli, blueberry and blackcurrant extracts, green tea and lots more. To be completely honest I didn't like the taste of the powder on it's own and would've struggled to drink it every day just mixed with cold water, however mixed into a smoothie it tastes delicious. 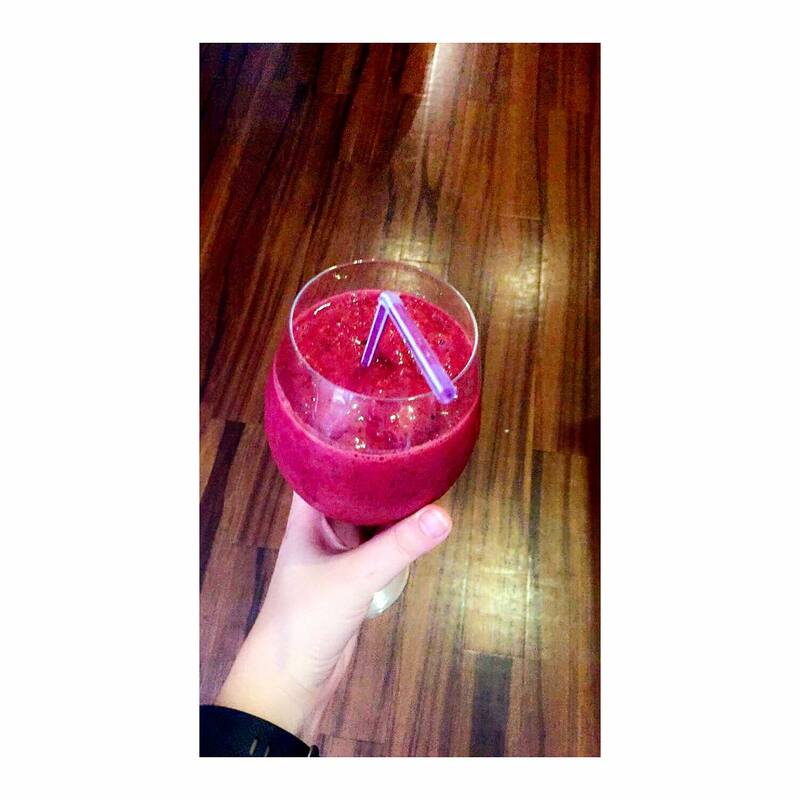 I like to mix x2 cups of orange juice, 5 handfuls of frozen berries (strawberries, raspberries, blueberries) and a couple of handfuls of ice with x3 scoops of the powder, then top it up with water and blend. It tastes just like a berry smoothie and you can barely taste the green powder. I've been using the powder for nearly three weeks now and I must say I wouldn't miss it that much if I stopped using it. I do feel as though it helped with my bloating, but I still felt hungry (that could be just because I love food) and I didn't like the taste that much. That being said when it's hidden in the smoothie, I'm getting all the added benefits and nutrition without much effort. My energy levels have definitely increased and I am feeling more energetic when I do a workout in the gym which is making me work harder, so that's definitely a positive. All in all, I think that the Super Greens Powder is a great easy way to get your greens into your diet and is definitely convenient when you have a busy lifestyle. It does also definitely help to decrease bloating. The Super Greens Powder is available to buy from their website for £25 or on Amazon here! Have you tried any lean greens smoothies? Let me know in the comments below.